Located on the island of Langkawi, The Datai Hotel Resort is a 5-Star tropical getaway. Situated 30km off the northwestern coast of Malaysia, Langkawi is part of an Archipelago of 104 islands in the Andaman Sea. The Datai Hotel Resort is nestled between an unspoilt coastline of white sandy beaches and tranquil rain forests and stunning mountain ranges. The resort is perched on the northern tip of the island and is an easy 25 minute drive from Langkawi International Airport. During your stay you’ll have a variety of activities to choose from including nature walks, swimming and luxurious spa treatments in the resort’s award-winning Day Spa. The Datai even has its own 97ft. wooden schooner for sailing charters around the surrounding islands. 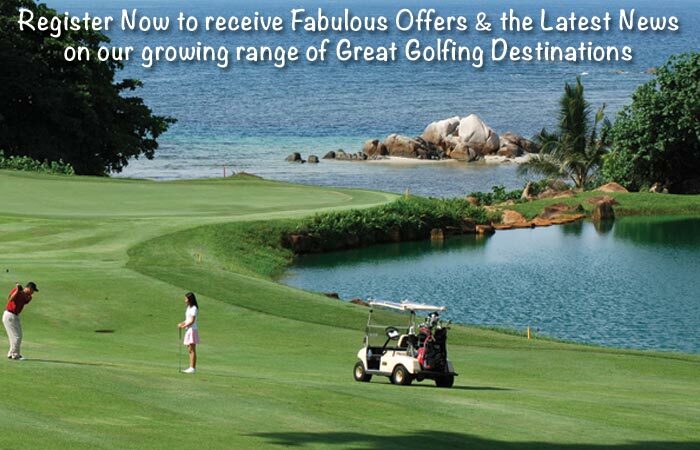 Golfers playing the nearby prestigious Els Club Teluk Datai course often choose to stay at the Datai Hotel or the Andaman Resort Hotel. As soon as the Datai Hotel has completed its renovations and is operational once again, we’ll reinstate it in the above packages as a 5-Star accommodation option.